Bethel Park PA: The BP American Legion Region Champion - 1970. This team only had 10 players and found a way to win all but one game on the way to playing in the American Legion State Championship in Allentown PA. 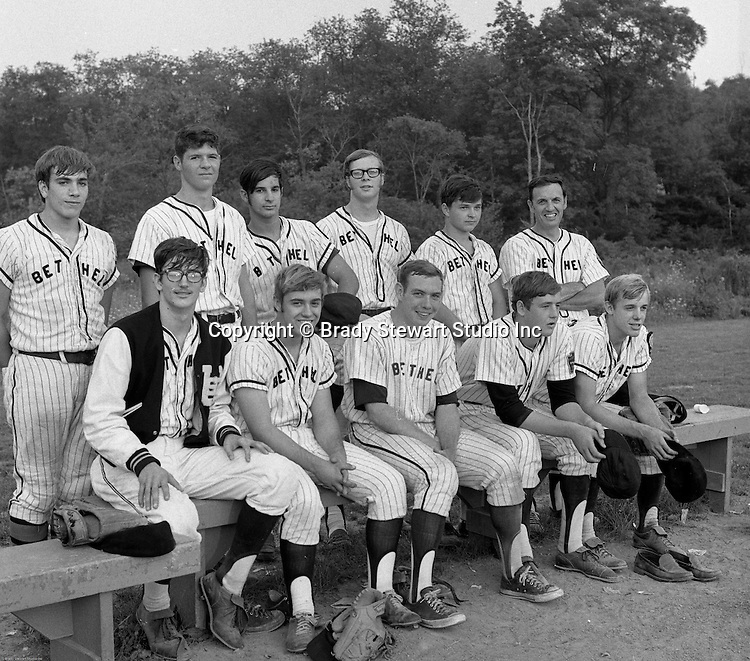 The team included; Front Row, Lee Patch (P), Skip Uhl (RF), Bob Campbell (2B), Bob Purkey Jr (P&1B), Bob Colligan (SS), Back Row, Mike Stewart (C), Gary Biro (LF), Craig Balmford (3B), Paul Hauck (1B & OF), Jack Snyder (CF), Coach Colligan.